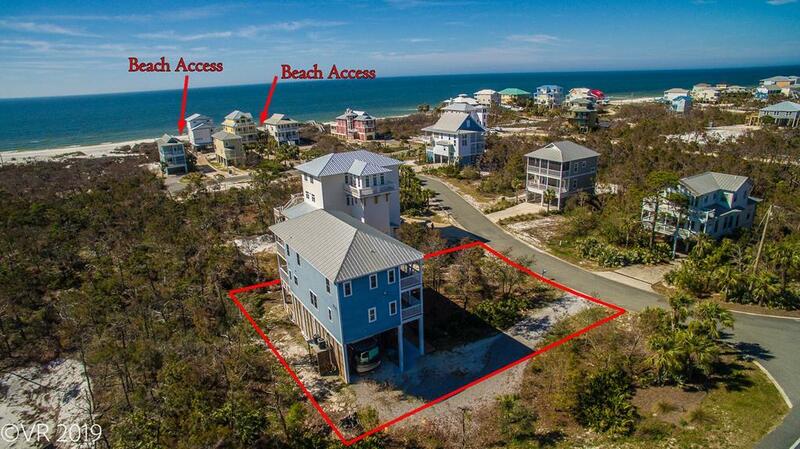 The Summer House is a 4 br/3ba home in the quiet San Dunes community of Cape San Blas, FL. 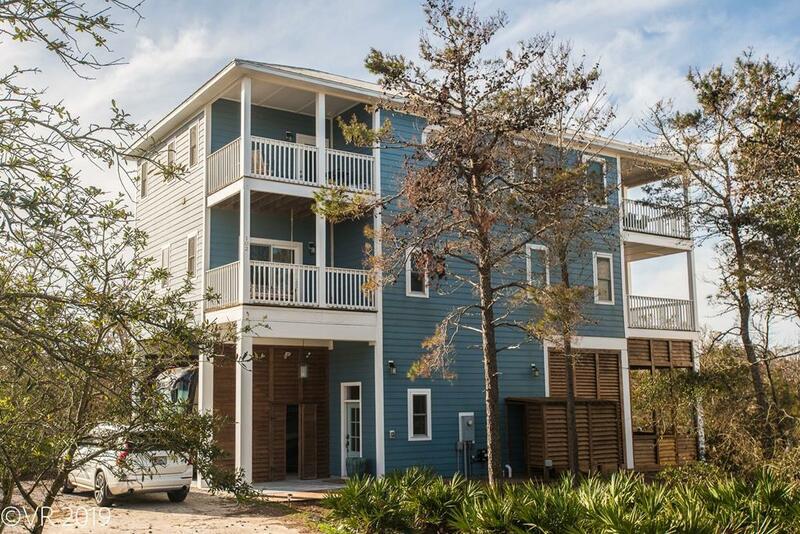 This custom-built home sits on a .29 acre, X-flood zone lot surrounded by natural vegetation and mature trees, with panoramic views of the Gulf of Mexico. 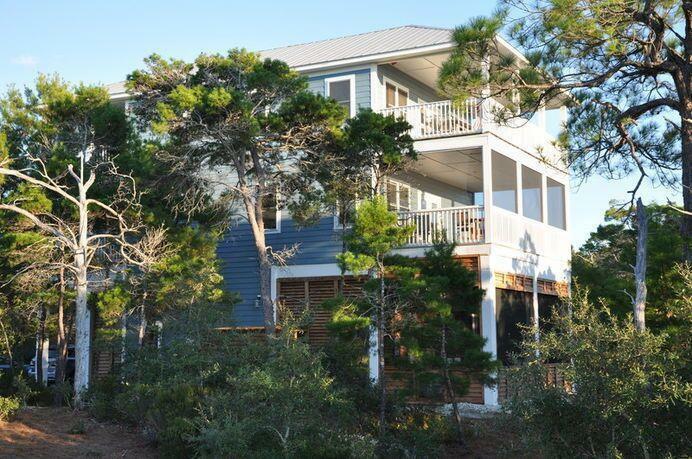 The 3rd floor features the kitchen/living/dining area, 12 x 28 deck overlooking the Gulf, guest bedroom/bath and an 8 x 14 deck with Bay view and grill. 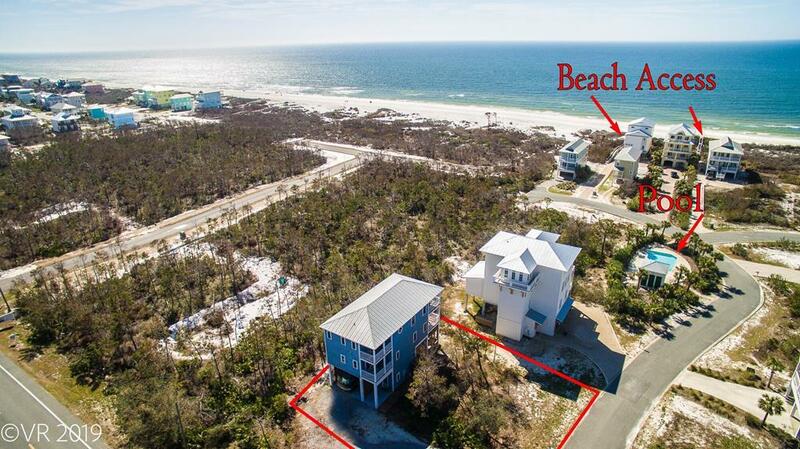 The 2nd floor has a spacious master bedroom with private 12 x 28 and a beautiful clawfoot tub, two guest bedrooms with a shared bath and an 8 x 14 private deck off one of the guest bedrooms. The bottom floor has the entrance, 8 x 12 exterior storage and 19 x 45 x 13.5 shuttered carport (park a 40' RV or large boat or play basketball).